Author: David Evans. 274 pages, paper back. Published April 2011. Reprinted April 2018. This 4th edition follows the same chapter structure as the 3rd edition. The increased number of pages is mainly a result of changes in the format at the end of each chapter. The need for a reprint has given opportunity to incorporate feedback from tutors and students and thus improve the user-friendly nature of this work for instruction in the Truth. 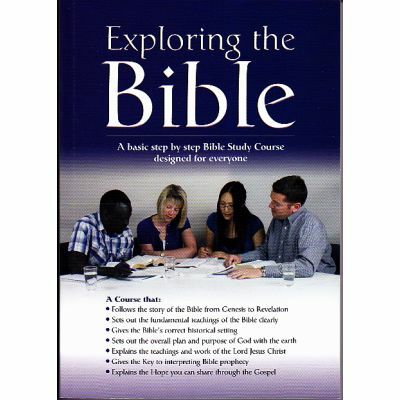 This will be readily seen when one reads the first chapter introducing the Bible. 16 The Prophecies of Daniel - " The God of Heaven will set up a Kingdom". 24 Bible Facts about the Words "Devil" and Satan". There is little doubt that this book has been a valuable tool in bringing friends to appreciate the message of salvation. It is now available in 13 languages. Contact the author if you want a copy in a specific language. 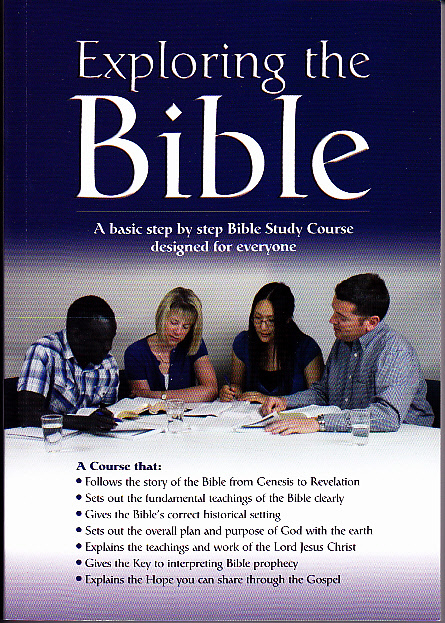 It is suggested that you buy several copies and have them ready to give to friends you speak to about the Bible's teaching.